We offer a very best benefit to you who stay in any kind of our room, that you can’t found in another hotel in Banjarmasin. Free trip to the the best destination in Banjarmasin ”Lok Baintan Floating market” and free access to the best new swimming pool in Banjarmasin. Choose over 138 richly-appointed rooms, ranging from our elegant and comfort Deluxe rooms to the ultra-luxurious Executive rooms. The rooms are fully equipped with a range of amenities including satellite TV, IDD telephone line and a personal in-room safe. Dining in at our hotel is an experience not easily forgotten. Tuck into the finest selections of international, Chinese and local Indonesian cuisine as you take in views of the splendid Martapura River. Planning to do some business in Borneo? We boast a well-equipped business centre where business travelers can conduct the seminars and meetings that they need. Let us warmly welcome you to Swiss-Belhotel Borneo Banjarmasin! Stay in touch with all the latest news in Banjarmasin. 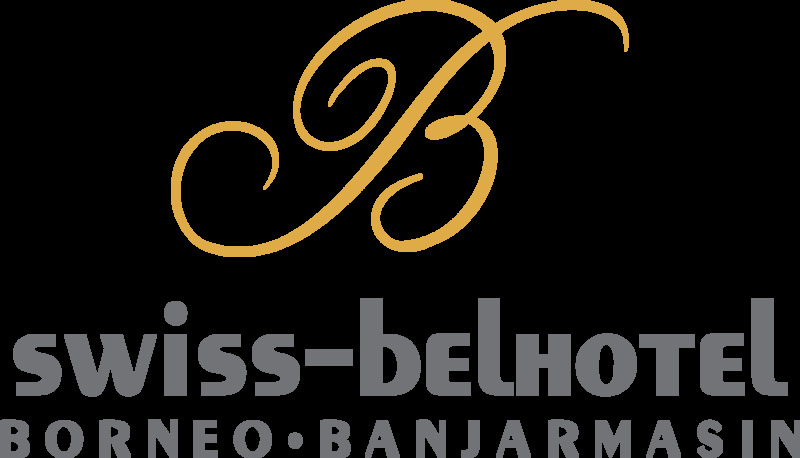 Here at the Swiss-Belhotel Banjarmasin, we pride ourselves on providing you the best hotel service in Kalimantan. Our rooms are exquisitely picked out in a modern, minimalist style, with a full range of amenities that you would expect from a chain of four-star hotels. Choose from 146 rooms divided between Superior Rooms, Deluxe Rooms, Junior Suites, and Presidential Suites. Dining with us is a refreshing experience not to be easily forgotten! Tickle your palate with a range of delectable dishes both local and international. With live entertainment to accompany and beautiful views over the river, dining with us is a treat for all the senses. 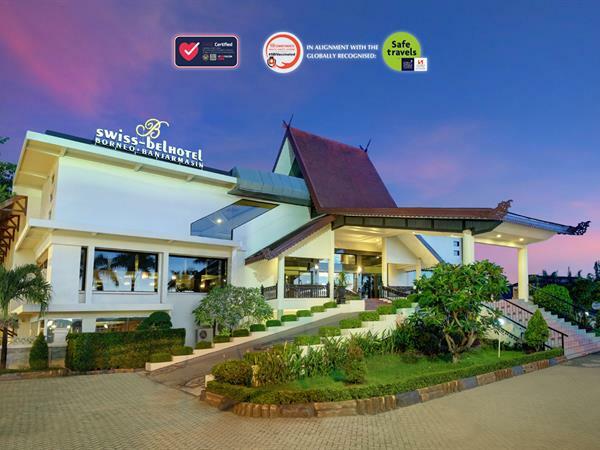 Here at the Swiss-Belhotel Banjarmasin, we are proud to set the standard for luxury hotels in Kalimantan. We have a range of facilities for the convenience and pleasure of our guests including a fitness centre and spa, restaurant and lobby lounge. Banjarmasin is the capital of South Kalimantan, Indonesia. It is located on a delta island near the junction of the Barito and Martapura rivers. As a result, Banjarmasin is sometimes called the "River City".